NO TRUCK Anti-blacklist protesters stopped traffic entering the Olympics site, in a protest against the dismissal of whistleblower Frank Morris. Anti-blacklist protesters caused chaos outside London’s Olympic Park this week when they stopped deliveries getting onto the site for more than an hour. Traffic ground to a halt in Pudding Mill Lane on 1 March as the demonstrators from the Blacklist Support Group crossed continually a zebra crossing near the site gates. Traffic disruption is a common and very effective union protest tactic in the US, but is new to the UK. The protesters were supporting an RMT member who was recently removed from the job. Enfield-based electrician Frank Morris was shifted from his job at the prestigious media centre at the Olympic site after blowing the whistle on the use of an illegal blacklist on the construction project. His dismissal by subcontractor Daletech Services followed weeks of intimidation and threats of violence by members of senior management after he had raised concerns about the dismissal of a co-worker. The co-worker was dismissed from the Olympic Media Centre being built by Skanska and Carillion after his name appeared on a blacklist of trade union members, many of whom were targeted for their health and safety activities. After Morris raised concerns about this illegal practice, he says he was victimised, bullied and threatened with violence by senior management to the point that he had to call the police for his own protection before finally being dismissed. Site worker Paul Tattersfield has become the latest worker to win a blacklisting tribunal. It found Balfour Beatty Engineering Services Ltd has refused him employment because he was on The Consulting Association blacklist. 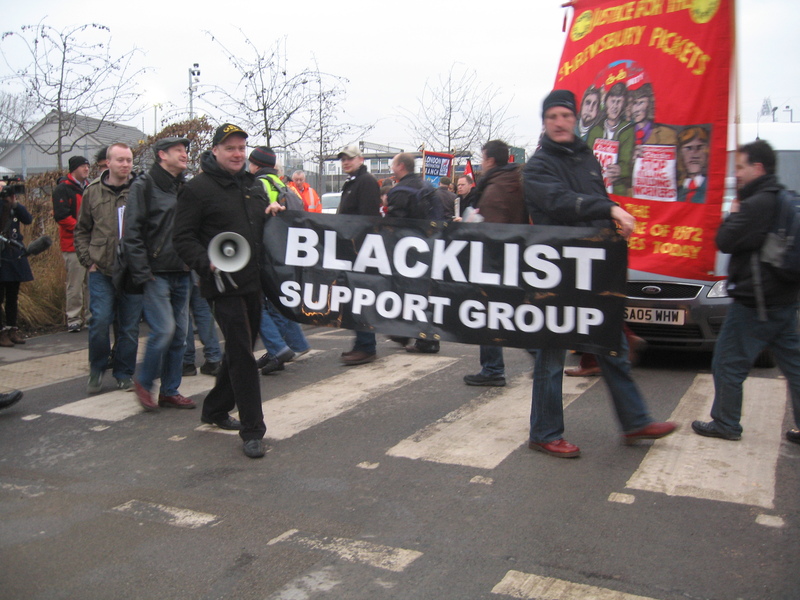 The company is known to have been a major support of the covert blacklisting operation. The tribunal awarded him just under £24,000 including loss of earnings, injury to feelings and aggravated damages.